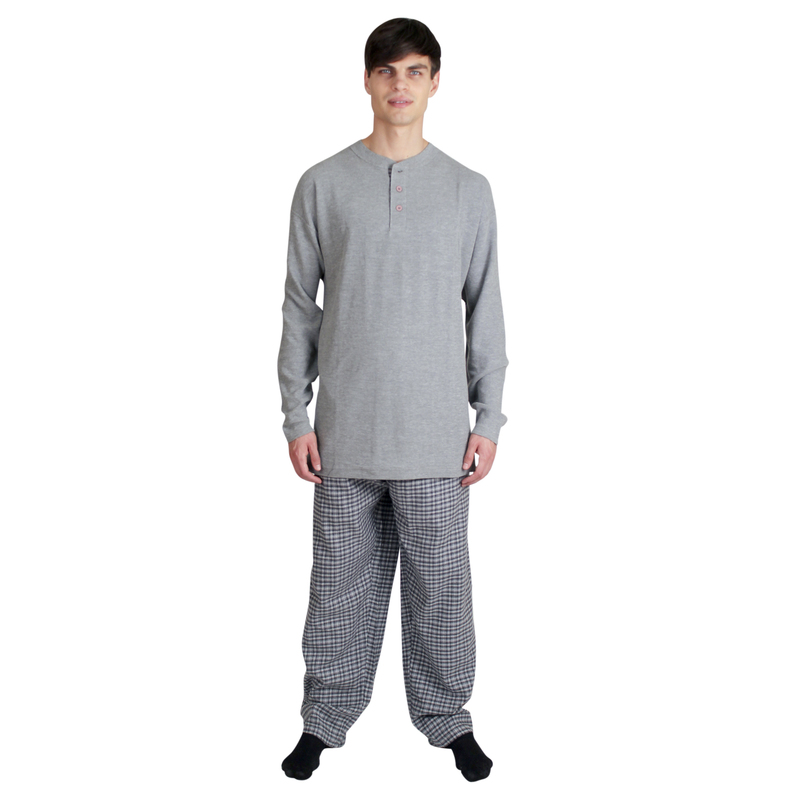 Mens pajama set with structured waffle knit top and 100% cotton yarn dyed flannel pant. 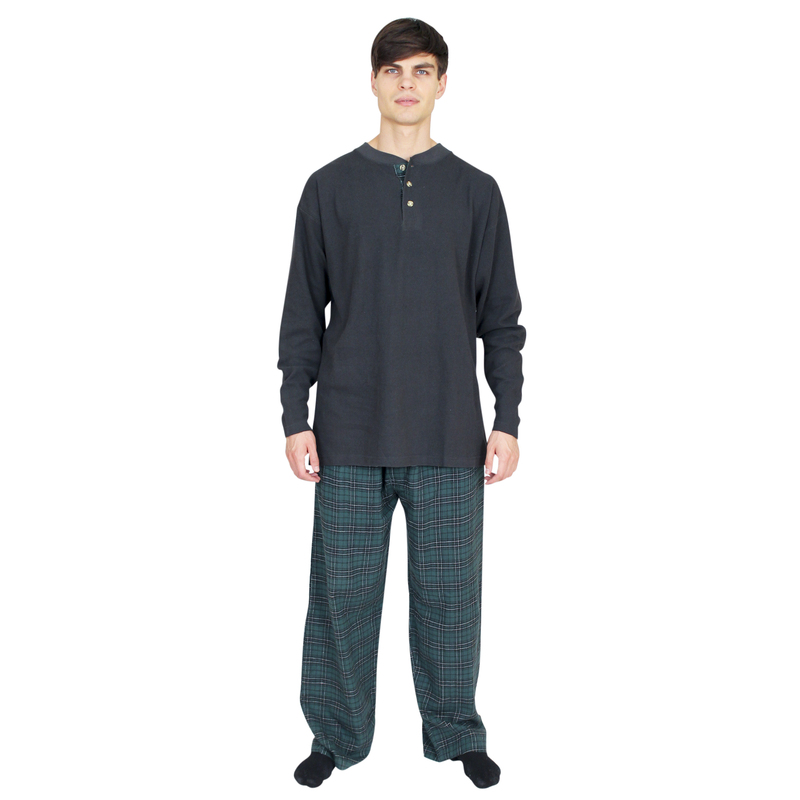 The men's sleepwear knit top is 100% cotton except for grey heather which is 90% cotton/20% polyester and has a contrast flannel placket and backpatch. 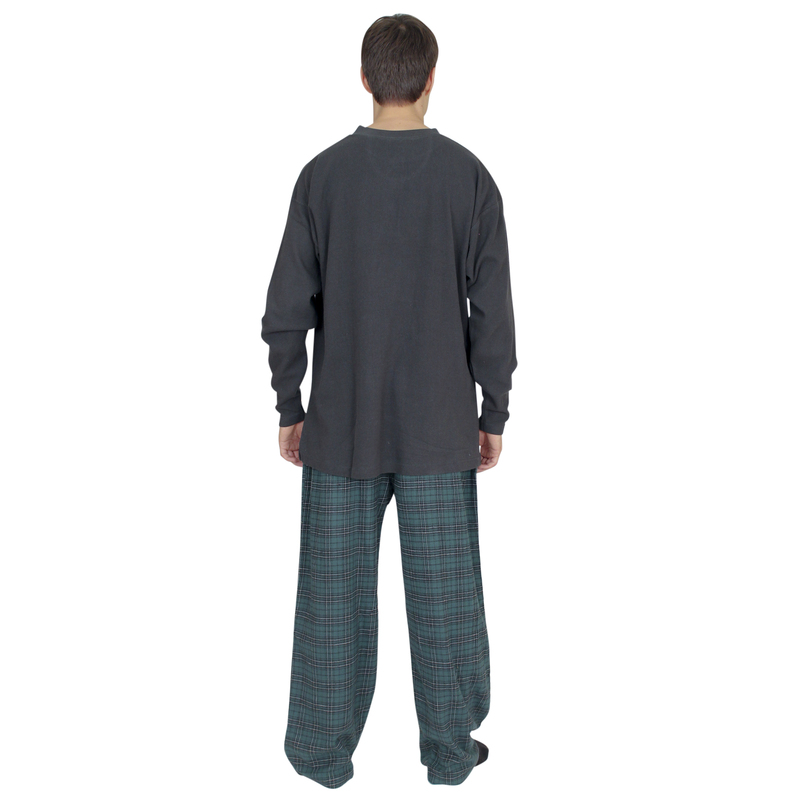 The flannel pant has beautiful plaids with an elasticized waistband and an exposed fly button. The pants are shown on the inset. Imported.. The Waffle/Flannel Setis available in following colors: Black/Blackwatch Gray Heather/Gray-Check. The first color indicates color of the top; second color is of the pants. Sizes: Medium Large X-Large. IN ADDITION TO LOW SALES PRICE YOU GET FREE SHIPPING. UPON CHECKOUT NO SHIPPING CHARGES WILL APPEAR.